Demonstrations happening in China may point the way toward how cars will communicate with each other starting as soon as next year. 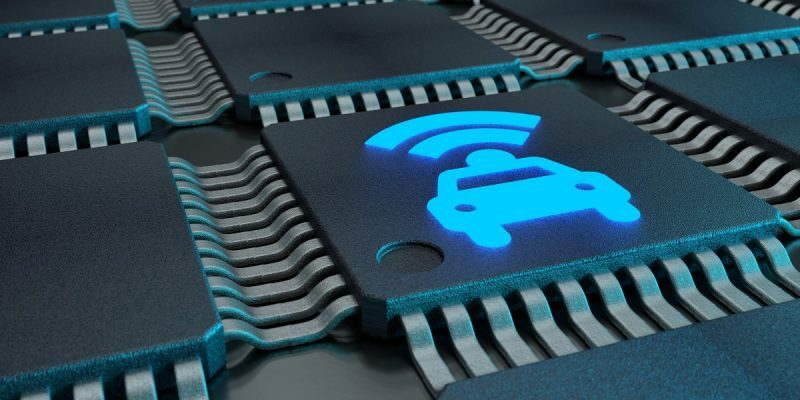 Qualcomm Technologies announced November 5 that it would join major Chinese automakers this week in Shanghai to demonstrate cellular vehicle-to-everything (C-V2X), a real-time data network for vehicles, roadway infrastructure and pedestrian devices. Datang Telecom Group, which also makes C-V2X components, and three software companies will join in the exercises, Qualcomm said. C-V2X is designed to let cars communicate around corners, warn each other about road conditions, receive messages from things like traffic lights, and detect pedestrians who can’t be seen. It could play a big role in autonomous cars and even make roads safer with humans behind the wheel. Qualcomm expects deployments beginning late next year. The demonstrations this week are intended to show equipment built on Qualcomm’s and Datang’s chipsets, and software stacks from the three vendors, working together at large scale. Use cases will include cars signaling that they’re about to enter a blind intersection, emergency vehicles alerting cars to give them room, and notifications that the road will be slippery ahead. Dedicated Short-Range Communications (DSRC) does many of the same things as C-V2X, using technology that’s related to WiFi. Cadillac has it in some cars, and automakers including Volkswagen and Toyota have pledged to put DSRC in many of their cars in the next few years. But strong support for C-V2X in China, the world’s largest car market, might help to turn C-V2X into the world’s dominant system. China’s strategy for intelligent transportation systems (ITS) designates LTE-V2X — a form of C-V2X using LTE technology — as the system to link road users over the air. The Chinese government has set aside spectrum in the 5.9GHz band for LTE-V2X networks, and the country’s National Development and Reform Commission expects coverage across 90% of big cities and major highways by 2020. A rollout on that scale is likely to make C-V2X more attractive in other parts of the world. There were nearly 29 million cars and trucks sold in China in 2017, compared with about 17 million in the US and 15 million in Europe. Scale drives down costs, and low cost often drives technology adoption. C-V2X, which was developed by the 3GPP as an extension of cellular standards, is also riding on promised compatibility with 5G. While it can be implemented with LTE, as in China’s current strategy, supporters argue that C-V2X will be able to ride cellular advances into the next generation and use components developed for 5G. The 5G Automotive Association, including Audi, BMW, Daimler, Qualcomm and major cellular vendors, backs this vision. Qualcomm (which also produces DSRC chips) and others have said C-V2X offers higher performance than DSRC. C-V2X has also been demonstrated in the US and Europe, and AT&T recently announced it will deploy the technology on its LTE network and later on 5G. It plans to launch trials with Qualcomm and Ford soon in San Diego. Although the US government designated 5.9GHz spectrum for DSRC in 1999 and long encouraged automakers to adopt it, few cars have it. Some tech companies have called for allowing WiFi to coexist in the same band or take over some of the spectrum. The Department of Transportation has backed away from an Obama-era mandate to deploy DSRC and says it will take a technology-neutral approach, which may open yet another door for C-V2X.